Architect@Work will be held in Barcelona from 14th of February to 15th. It is one of the most important events about the architectural world and it will land in Barcelona for the second consecutive year. This time, it will take place on the Barcelona International Convention Center- Willy de Brandt Square, 11-14 08019 Barcelona-, from 1pm to 8pm. A very important architectural event which is expects to have a great reception, as in the previous edition. Architect@Work is a show aimed exclusively for the professionals of architecture. During the years this event has take part in so many countries in Europe and also in China. The event is perfect for promoting contacts and take advantage of business opportunities, in which is conducive to the talk and communication between attendees and speakers. This year, for the second time, you can enjoy the event in Barcelona. The main issue of this edition is the architecture and wood, so the four conferences of these days will involve the essential elements like the wood, and their uses, types and styles. During these days, as well as the conferences, we will see different expositions like: Art of William Sweetlove and the Future Woods. 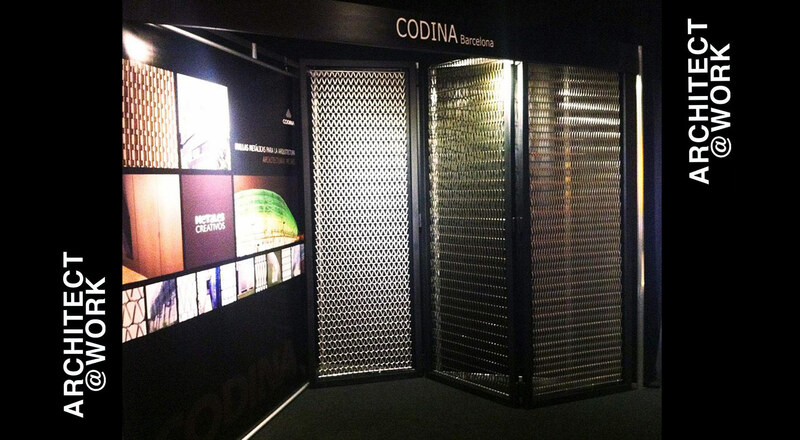 From Codina, we confirm our support to this great event and we encourage you to come and visit us. You will find us in our stand showing our products and also the newest innovations. Don’t hesitate! We want to see you!